About Your Vet Online. History and veterinarian profile. Veterinary advice. When the idea for Your Vet Online was born. It’s 3am in the morning in a busy, Sydney 24/7 emergency centre. The hospital is bursting with sick animals, machines are beeping, there is the delightful smell of diarrhoea and the whirr of a ventilator breathing for a small dog with paralysis tick toxicity. One of the nurses advises me that my next patient has arrived. An old German Shepherd called Jess who had collapsed and was unable to walk. My immediate thought before I saw Jess was that she would either have a splenic tumour, or maybe a spinal issue, because these are diseases that these dogs get. Jess had the saddest, most trusting eyes, and they will be etched in my memory forever. As our team walked up to Jess, she looked up to us with the most trusting eyes, a look that will be etched in my memory forever, along with the really potent stench that over took us all. We quickly realised it was the smell of rotting flesh. This is a smell you’ll never forget. Poor Jess had suffered a ‘hotspot’, a common ailment where the skin gets infected. If caught early and treated properly by clipping and cleaning these clear quickly and without the need for fancy medications. Jess’ parents loved her dearly. They had asked friends for advice on what to do and had researched the internet, but things escalated quickly for Jess. Due to the misinformation given by well-meaning friends and the easy access to poor animal health advice online, Jess had become septic, and she was now dying. Jess needed expensive intensive care, and she was critically ill. In the end, her owners decided it was the kindest decision to let her go peacefully. It was a night of tears and heartache for everyone involved. I don’t want to EVER experience this again. My colleagues don’t want to see totally preventable cases like this EVER again. Your Vet Online is my attempt to provide pet and horse owners everywhere a convenient 24/7 online veterinary consult whenever they need it most. Vets don’t ever want to see owners ever having to go through the similar emotional turmoil that Jess’ owners went through that night. Talk to a veterinarian. Get the advice you need to ensure your pets and horses never suffer. Our vets are accessible to you all the time, whenever you need it. 24/7, 365 days of the year. On any device. Video and chat. Who Is Behind Your Vet Online? Your Vet Online is founded by Dr Leigh Davidson BVSc, BApplSc. Registered in both NZ and Australia, Dr Leigh has over 17 years’ experience in clinical practice (small animal, equine and ruminant), pharmaceuticals and practice ownership. One of Dr Leigh’s favourite past times (aside from cheering on the All Blacks) is educating pet parents to be the best advocate possible for their pet. Dr Leigh is active on many forums helping owners with questions they may have. A passionate member of the Australian Veterinary Association Dr Leigh also helps to moderate two large Facebook groups (Not One More Vet and Australian Veterinary Network) exclusively for veterinarians. Aside from helping pet owners, Dr Leigh finds time to mentor many vets who seek advice with clinical practice and work life balance. You can read more testimonials here. We love to share the love. 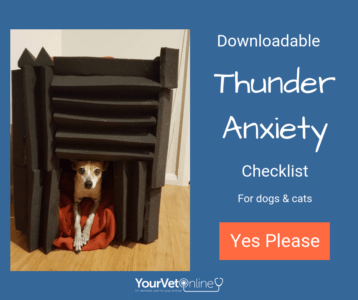 Your Vet Online is a great service that gives me comfort that I can get expert veterinary advice, when I need it and in a convenient manner without leaving home. 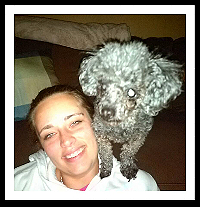 I had an emergency in the middle of the night with my elderly Toy Poodle “Bentley”. 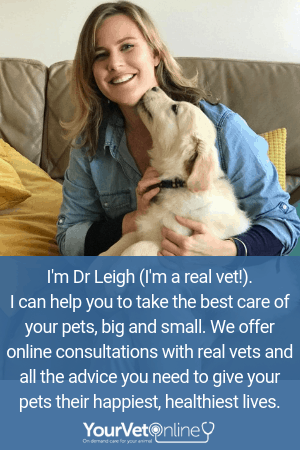 After searching for a Vet to speak with I found “Your Vet Online”, sent them a message and received a response within minutes from Dr Leigh. There aren’t enough words of gratitude or enough “Thank You’s” I can say to Dr leigh for all the help given!! Your services are WONDERFUL and highly recommended. Thank you again!! Most pet owners understandably seek out additional information on their pet’s condition beyond what their own veterinarian has given them. This may be because they’d like another opinion, or they didn’t have a chance to ask all their questions during the consultation, or simply because they’d like as much information as possible to best help their pet. Many online information sources are questionable and have the potential to mislead and misinform. I believe that Your Vet Online has the potential to help a lot of pet owners by providing quality, unbiased advice. Your Vet Online is currently looking for more awesome veterinarians that wish to join our team. If you think you have what it takes, are registered in Australia and/or New Zealand and have a deep felt need to make a difference please get in touch with us. Do you have a question about your pet or horse? Our vets are online now. Click here to have a consult now. We shall advocate responsible pet ownership, animal welfare and educate our clients so they can be successful pet owners. We shall treat our patients, clients and professional colleagues with the upmost respect and courtesy. We shall share joys of pet ownership with our clients, provide reassurance and sympathize during the difficult times. We shall build a strong team within each department of our business. We shall honour the terms of the veterinary oath at all times. We shall deliver pet care services in the most efficient and cost effective manner. We shall continue to learn and to teach so that our employees are well educated. We shall remember the 6 C’s of pet care, Compassion, Consistency, Competence, Convenience, Common Sense and Cost. We shall place a very strong emphasis on attitudes and actions that promote teamwork and communication. We believe that the employee should deliver up to date services to our patients that consistently demonstrate compassion, sincere concern, and sensitivity in the most humane manner possible.